Planning to Register your Rent Agreement? 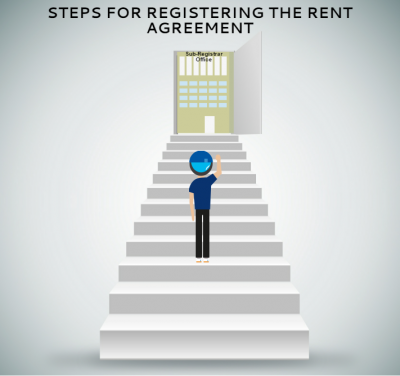 Today in our this Blog we are going to Discuss the Steps which needs to be follow in order to Register the Rent Agreement. That’s it! The Steps for the Registration is Completed. Registration Fees of Sub-Registrar is Rs. 1,100/- (Rs. 1,000/- and additional pasting fees of Rs. 100/- )also needs to be paid. We eDrafter also provide the Service for Registration of Documents in which we will handle all the above mentioned process on your behalf to give you full comfort, To Know more kindly proceed to our this section- Registration of Documents. Thanks for giving your time on our Blog. Thank you so much for this Informatic blog. How to Calculate the Stamp Duty for the Rent Agreement if the Agreement is for 2 years? Thanks for giving the Information. Really Appreciated. How many registration fees above example AMT. The above Fees described is calculated for Rent Agreement of (11 months). The Fees is calculated according to the Duration period of the Rented Property. Thanks. Thank you so much for showing your interest in our blog. Keep Visiting! I will surely use these suggestions next time. Hope would have found it earlier, recently used rental agreement in noida. Ma'am, I'm from Agra, UP! Can you plz hint me a website for the same process as above? Hi, I tried for a registered agreement but I was denied as the land lord GPA was registered by notery and not by court. Is it still possible to register the rent agreement? hi, is the average rent inclusive of taxes ? Hi, Is the tenant and landlord both required to be present for registration? Please reply. Thanks a lot for your informative blog. Nice Informative Blog. I will surely use these suggestions. Hope would have found it earlier, recently used in Delhi/Ncr. Nice Informative Blog. I will surely use these suggestions. Hope would have found it earlier, recently used <a href= “[Link deleted]rental agreement onlinein Delhi/Ncr. Nice Informative Blog. I will surely use these suggestions. Hope would have found it earlier, recently used [url= [Link deleted]rental agreement online[/url] in Delhi/Ncr. How to take time from Registrar office. Appointment for entry time for Registration of Rent Agreement when all documents and witnesses are ready.